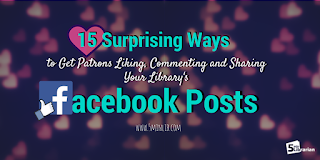 5 Minute Librarian: 15 Viral Content Ideas for Your Library's FB Page! 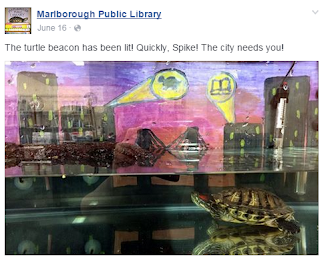 What works on a Library's Facebook Page? What is considered "Viral Content" for library patrons? To find this answer, last January I created a Facebook Group for librarians to share their viral content (The Shareable Clique). And throughout the six months, librarians shared posts that scored high reach. The ones that were generic, other libraries have reshared, many receiving the same great results. There is a science behind posting on Facebook. These libraries (over 500 members!) have cracked the code. Patrons love their local history (and this can be city/town or even state). Time and time again, these posts garner over 1,000 reach with an impressive number of clicks, likes and shares. "Like" your local History Society's Facebook page for precious (easy) content to reshare (Bonus points -- this also generates goodwill between organizations). And don't forget to tag other pages if they are featured in the content (i.e. for the example below, they posted a photo of the Farmer's Market in 1978 and tagged the Farmer's Market FB page). 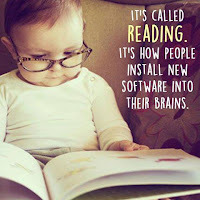 Is there any other image that pulls at the patron's heart strings than kids learning to love reading? People can't help but like them! Patrons love to read articles that support their reading habits! Mix it up with fun one and serious ones. Try to share from sources that already have a lot of engagement on Facebook so you know you're sharing quality information (and Facebook rewards you for doing so!). People love to laugh! So, give them something to laugh about. Share words of wisdom from our clever writing friends. It is just as good as getting a celebrity spokesperson! The quotes can be about the library or just messages that produce a reaction from readers. Quick articles that help readers learn a little more about themselves through the lens of books. Quiz: Can Your Age Be Guessed Based on Your Taste in Books? 8. Prompt Comments with a Great Image. 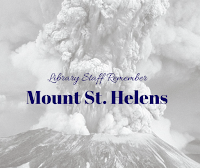 Everett Public Library wrote a post about where staff were when Mount St. Helens erupted 35 years ago. Patrons responded with their own experiences. 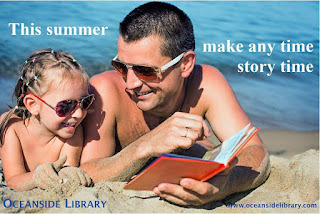 Do you have any local events where could you do this for your own library page? Patrons are proud of their library! And people love info charts! Mixing them together is a win/win! Use mascots, action figures, and stuffed animals to highlight things in a fun way. We also talked about this in a previous article. Fascinating facts about classic and popular books have resonated well with patrons. Sharing posts about upcoming movies (adapted by books) and new releases (like the announcement of Harper Lee's sequel) may work well for some library pages, too. Don't forget to include unusual library stories, putting a friendly face on your account. Did you see something amusing in the stacks? Did you come across a happy coincidence? Did something happen to a familiar library mascot? Don't forget to share it here. Chances are, if patrons are following you on Facebook, they care a lot about you. Sharing quotes about libraries in general tends to get a positive response. Bonus reach points if it is uploaded to Facebook so it automatically plays! This is interesting. I wonder if any research has been done to see if a viral post has an impact on attendance in the library? Also, is there any information on how to get a post to show in people's feeds? I like many libraries, but rarely see their posts so I can't share what is going on.